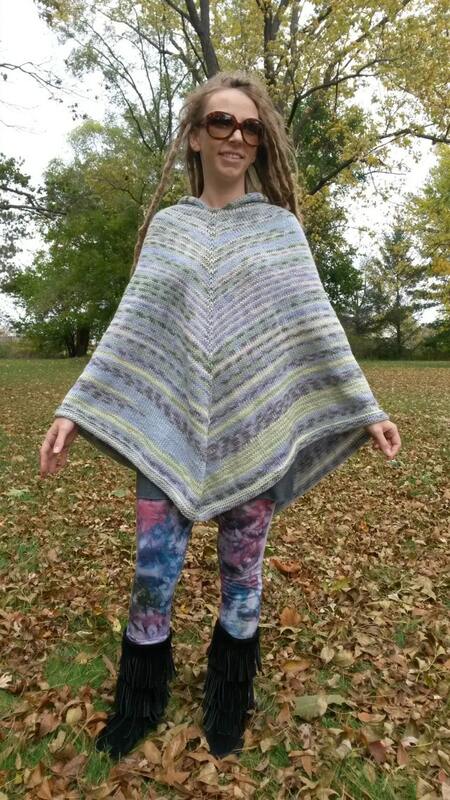 I made this pretty little poncho by knitting. The colors are a little brighter than this gloomy day would reveal. It is free size and very stretchy when it needs to be. Pit is very easy to move in. It is made out of acrylic yarn and is easy to clean.